The Holiday Season is quickly approaching and for many, this will mean a time of stress and over-packed schedules. Don’t allow yourself to get caught off guard or get off track of a regular workout routine. Here are tips and a plan to help eliminate some of the stressors, and stay on track throughout the holiday season. Whether you work with a personal trainer, go to small group workouts, or train on your own, make sure your workouts are scheduled between now and the New Year. Treat those workouts as an important appointment for yourself. Even if you have to adjust your workout time to go around holiday parties or gatherings, be sure it is on the calendar! Take a measurement to hold yourself accountable. It may be a good idea get a DEXA Scan done in order to hold yourself accountable throughout the holidays. 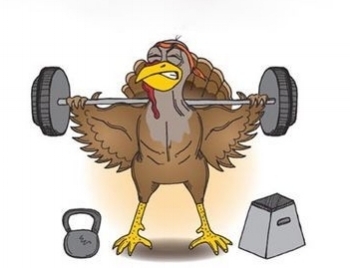 Doing one before Thanksgiving and scheduling one right after the New Year will help keep you accountable to continuing with your workouts and maintaining a good nutrition plan. It is inevitable that you will be at multiple holiday parties where there will be foods and drinks that don’t align with your nutrition plan. Moderation will be the key component to not falling off the wagon. Be sure to not skip meals or allow yourself to overindulge. Is it really worth ruining your progress for a holiday season that comes around every year? This may be a good time to allow your body to get some additional rest. Ensuring proper rest will allow your body to recover and lower cortisol levels -- aka unwanted stress! The holidays are a time to be surrounded by those you love the most and celebrate another wonderful year coming to an end. Don’t forget to celebrate with friends, family, and loved ones!